The Toronto Real Estate Board announced that there were 4,975 condominium apartment sales reported through the TorontoMLS system in the fourth quarter of 2014. This result was up by 8.3% compared to the fourth quarter of 2013. “Demand for condominium apartments remained strong in the fourth quarter of 2014. While the supply of condominium apartments listed for sale grew in the fourth quarter, including a large number of newly completed units, the number of sales grew at a faster pace. Competition between buyers increased in the condo market over the past year,” said TREB President Paul Etherington. “Interest in ownership housing in the GTA, including demand from first-time buyers in the condo market, is extremely strong. The majority of households understand that a home purchase represents a quality long-term investment,” said Mr. Etherington. 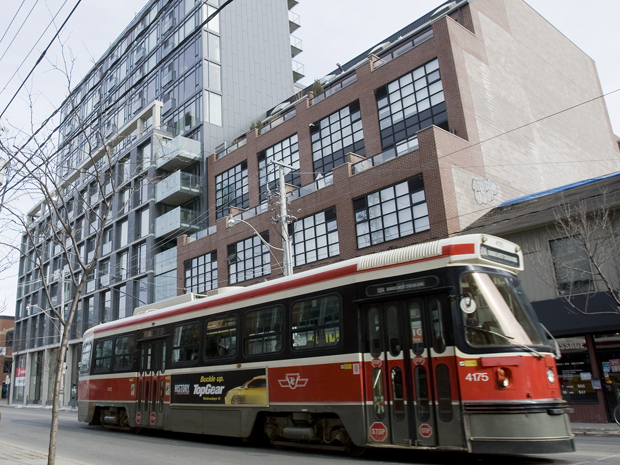 The average TorontoMLS selling price for a condominium apartment in the fourth quarter of 2014 was $367,199 – up 3.8% compared to the average of $353,799 reported for the same period in 2013. “Despite very strong condominium apartment completions over the last two years, we have not experienced a glut in inventory. The number of buyers has more than kept up with the number of units available for sale. This is why we continued to experience above-inflation average price growth in the condo segment,” said Jason Mercer, TREB’s Director of Market Analysis.